Floral design in green, brown, and off-white on a beige background. Change the look of your kitchen with ease. Swap out old patterns for new discounted curtains and viola! Style and savings. 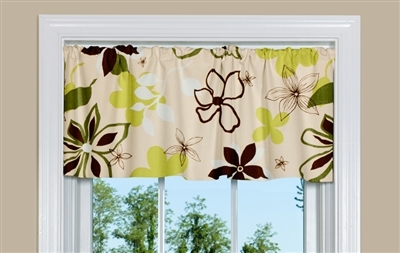 This retro style floral valance has green, brown, and off-white design against a beige background.